Education @ The Palace and Vision West Nottinghamshire College Performing Arts Department present this new play by Alan Dawson as part of the Write Track programme. Poppy is seventeen and lives in a children’s’ home – estranged from her younger brother and junkie mother. Her relationships with staff and other young people in the home are severely impacted upon by her attachment disorder. Once eighteen, Poppy will have to leave the safety of the home and make her own way into adult life. Struggling to make sense of their own worlds, Robert, the Care Manager, and Poppy continuously clash with devastating consequences. Poppy’s new key-worker, Sally, struggles to keep the peace between them, in a care home that is lacking in inspiration and well-being. Does your child like art ? Do they want to develop their skills? Do they want to have fun and make new friends? 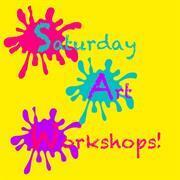 Saturday Arts Workshops (suggested age 7-11yrs) are available to book now and you can enrol by calling 0808 100 3626. Please ask for 'Learner Records's department. Payment can be taken over phone. Workshops occur on Saturdays 10am - 12pm, in room 810 in the Visual Arts building at West Notts College, Derby Rd, NG18 5BH. All materials are included. Students will paint, complete 3D work and undertake arts and craft type activities. Students may also make items for special occasions (depending on the time of year).